EVE’s former story and history overlord is publishing a new book. As much as the majority of EVE’s events are driven by the players, the backstory has always been an interesting one to delve into. As new additions came to the EVE universe, the lore was something that gave something as simple as a new module a reason for being. CCP brought Tony Gonzales on years back in order to wrangle that world building, to ensure that plot and history were kept consistent and evolve things going forward. To coincide with the release of the Empyrean Age expansion, a novel tie-in EVE: The Empyrean Age was written and released as a physical book (remember those?) back in 2009. EVE: Templar One was Tony’s second novel, this time diving into the lore surrounding DUST 514. While Tony was one of many CCP employees that were cut loose as part of downsizing a few years back, he apparently has kept himself busy with furthering his writing portfolio. 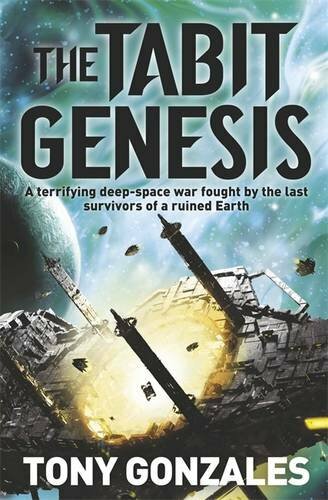 Coming soon is The Tabit Genesis, his latest novel. They left Sol in two great ships, carrying with them the last hope for humankind. Destined for different stars, their mission was to ensure the survival of our species. One ship was never heard from again. Decades later, the other arrived at a lifeless world, where the survivors learned that Earth was lost not to famine, but to an alien species determined to eradicate humans from existence. Man is not alone in the universe, and the last of us are hunted. While The Tabit Genesis is not directly related to EVE, Tony is most solidly a member of the EVE alumni. To me, his writing style has always been imaginative and approachable, and I look forward to finding out whether his latest provides a solid beginning to a new sci-fi franchise.